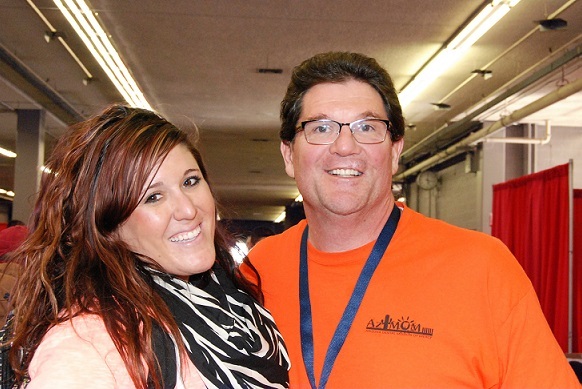 As we prepare for the 6th Annual Arizona Dental Mission of Mercy on December 8th – 9th 2017 we want to take a moment and congratulate the Colorado Mission of Mercy (COMOM) on the successful completion of their 11th dental Mission of Mercy held October 13th – 14th 2017 in Pueblo Colorado. COMOM held its first event in 2007. 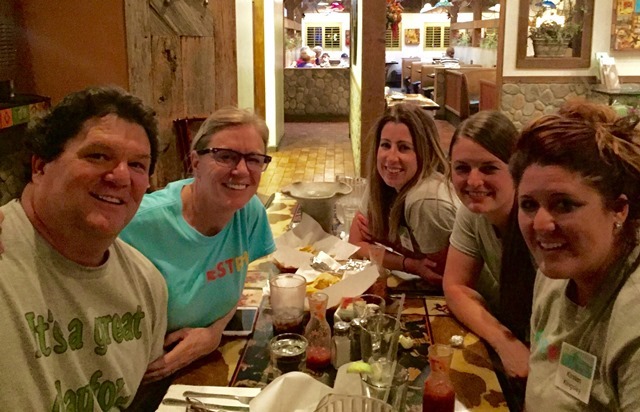 Prior to moving to Phoenix in 2014 to become a partner with the Phoenix Endodontic Group, Dr. Wood was Endodontic Lead for COMOM events in 2007 (Alamosa), 2008, 2010, and 2011. She played a very important role in helping to start the COMOM events. Dr Wood used this year’s event as sort of a homecoming to visit with her old teammates to see how they were continuing with the Mission of Mercy events. Also traveling to Pueblo with Dr. Wood was AZMOM Endodontic Lead, Dr. Bradley Gettleman, his assistant Martha Felix, and Kelli Van Horn from Dentsply Sirona. 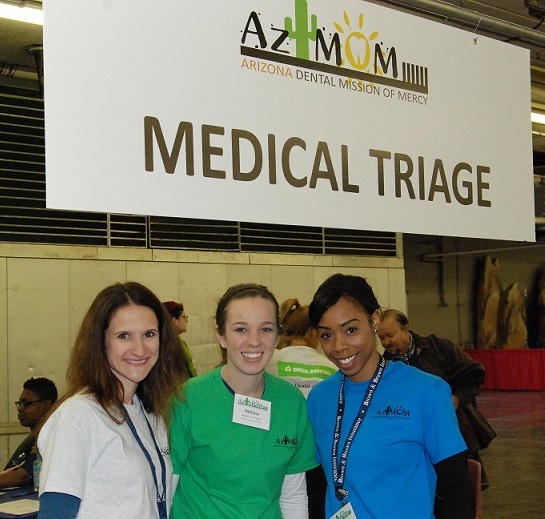 Since moving to Arizona, Dr. Wood has volunteered at the 2014, 2015 & 2016 AZMOM events. She also helped the CADSF at Hopefest in 2016. It is volunteers like Dr. Susan Wood that help to make programs such as dental Mission of Mercy such a success in many states. 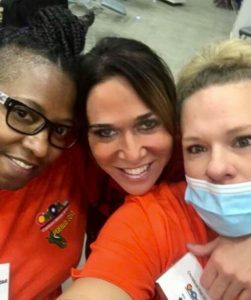 Dr. Jacqueline Allen is one of the Founding Members of the Central Arizona Dental Society Foundation (2011) and has been instrumental in helping to host and operate 5 consecutive dental Mission of Mercy events here in Arizona. 2017 will be the 6th consecutive year for AZMOM. Dr. Allen has volunteered for Mission of Mercy events in 5 other states. The Phoenix Endodontic Group is proud of our two endodontists that see the importance of the charitable work they do and give up so much of their time and talent to help people who need it most. Hats off to you two ladies! Team members of Phoenix Endodontic Group participated in the 2016 HopeFest event which took place April 15th-16th at CHASE Field in Phoenix. This annual event provides a wide range of sevices to the homeless and economically challenged members of our community. 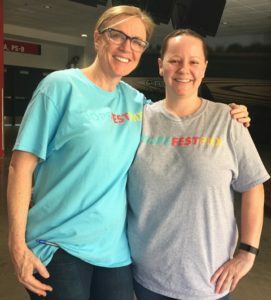 The Central Arizona Dental Society Foundation was asked to help deliver the dental services at HopeFest over a two day period. “This was such a great and it took many wonderful volunteers to make it a success,” said Dr. Jacqueline S. Allen, CADSF Board President. “We were thankful to have dental teams come together to help get folks smiling again.” Allen continued, “Several team members from offices across the Valley volunteered over the two day period.” The following team members from Phoenix Endodontic Group participated: Dr. Jacqueline Allen (Clinic Floor Director), Dr. Susan Wood (Dental Triage), Dallas Hedges (Endodontic Lead), Roxann Naithani (Patient Registration Lead) Hanh Duong (Patient Exit), Savannah Allen (X-Ray) and Kevin Conroy (Event Director). Dr. Allen also wished to thank members of the Phoenix Endodontic Group’s extended “family” for their amazing efforts: Kristen Kingsley (Event Coordinator), Sarah Tate (Event Coordinator), Linda Shirey (Volunteer Lounge) and Dr. Carol Ford (Dental Routing). 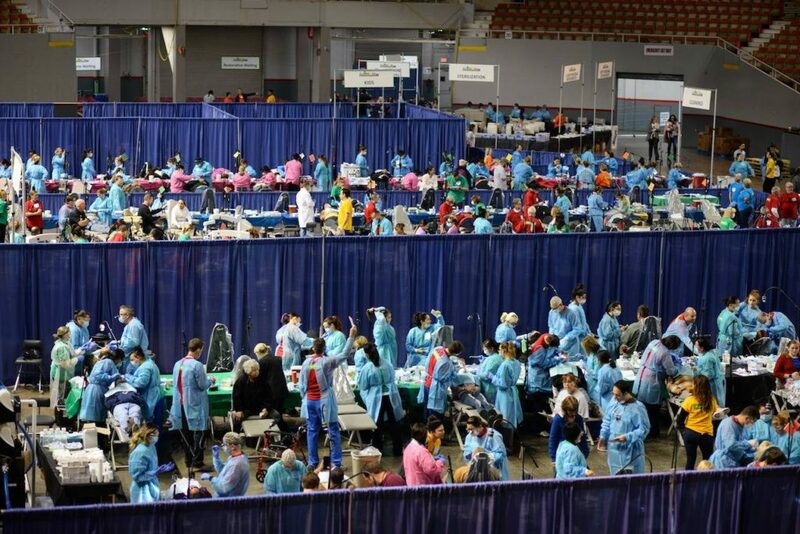 Highlights from the 2-day dental clinic include: $397,000 in free dental care delivered to 369 patients. CADSF was also able to provide dentures, root canals and crowns – these services were all provided for the first time ever at HopeFest. Thanks to the Central Arizona Dental Society Foundation and all of the volunteers for making 2016 HopeFest a big success. 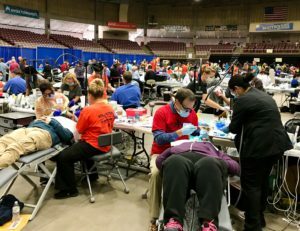 The Central Arizona Dental Society Foundation (CADSF) is hosting its 3rd annual Dental Mission of Mercy event at the Veteran’s Memorial Coliseum at the Arizona State Fairgrounds Dec 12th-13th, bringing together hundreds of dental professionals who will provide free care to adults and children. 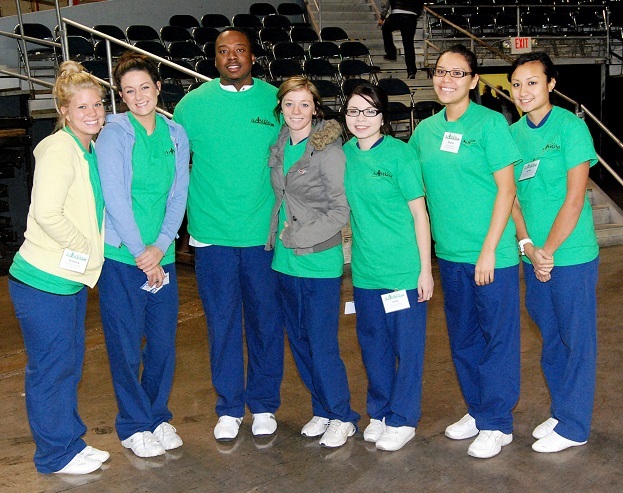 The Coliseum floor will be transformed into a clinic with more than 100 portable dental units staffed by nearly 1,500 volunteer dentists, hygienists, lab technicians, assistants and lay people. Approximately $1.5 million in free care is expected to be delivered to over 2,000 patients on a first-come, first served basis during the two day period. Patients are advised to arrive early. Doors to the clinic will open at 6:00 am. Treatment will be performed both days from 6:00 am – 6:00 pm. As in past years, the emphasis will be on relieving pain and infection. Dental services such as fillings, extractions, cleanings, as well as limited lab work will be provided to both adults and children of all ages. All patients will undergo a limited medical screening and those who have medically compromised conditions, such as extremely high blood pressure, uncontrolled diabetes or severe disabilities may not be able to be treated in this setting, and will be referred to other community resources. 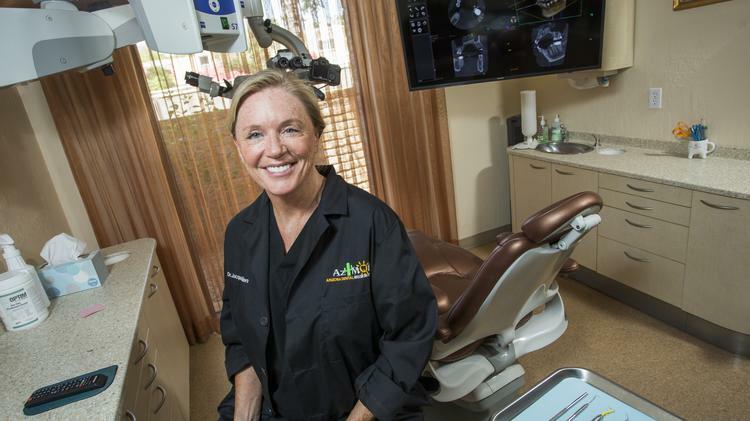 Arizona residents suffer from higher rates of dental disease than many other states, and this is one way we can give back to the community while providing critical dental care to those who need it most, said Dr. Pat Rabot, a Phoenix Oral Surgeon and CADS Foundation Board President. We also hope to raise awareness about the increasing difficulties that low-income adults and children face in accessing necessary dental care. Arizona discontinued adult dental AHCCCS benefits in 2010 during the budget cuts of the great recession. The demand for care during this event proves how much the most vulnerable members of our community need this program to be restored. A recent survey found that 21 percent of Arizona adults and 31 percent of all Arizona children have never had a dental check-up. About CADS AZ Mission of Mercy: Originating in Virginia and spreading throughout the United States, more than 70 Mission of Mercy dental programs have been conducted since 2000 to provide free dental care to local residents who otherwise were unable to receive it. 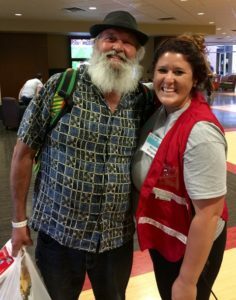 For more information on CADS AZ Mission of Mercy click here. 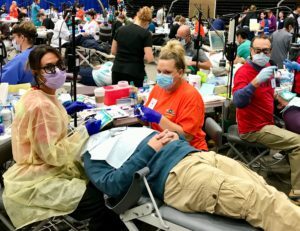 This topic is an easy one for me to talk about because I am so proud of the way the endodontists in Central Arizona have come together to make the Central Arizona Dental Society Foundation’s annual Dental Mission of Mercy become a huge success in just three short years of hosting these events. 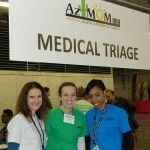 For those of you unfamiliar with the Arizona Dental Mission of Mercy, please visit www.azmom.org for more information, but in simple terms CADS AZMOM is a two day dental clinic held the 2nd weekend in December at the Arizona State Fairgrounds. 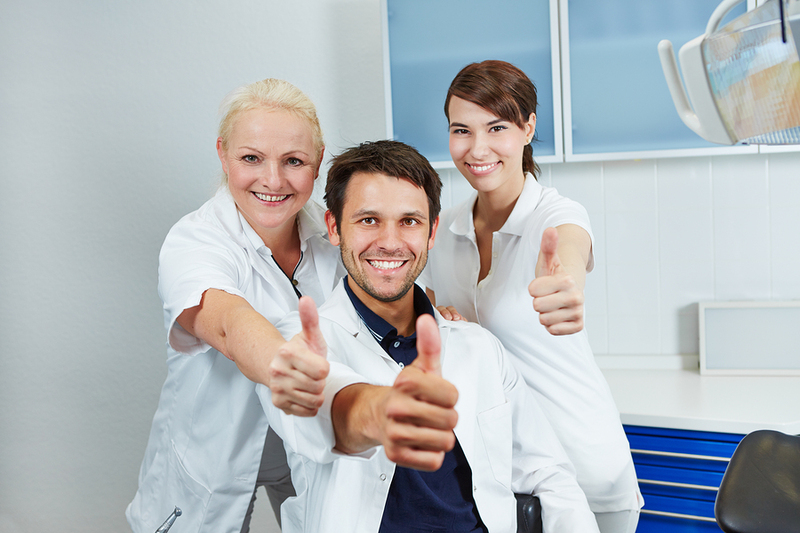 Patients are treated at NO CHARGE to basic dental care on a first come, first served basis. 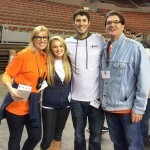 This massive undertaking requires the services of 1,500 volunteers of which 300 are dentists. For the past two years CADS AZMOM has treated approx. 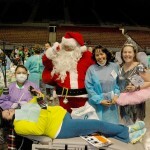 3,700 patients and provided $2.7 million dollars in free dental care. Our upcoming event on December 12th-13th, 2014 promises to be the biggest event yet. In 2013, the Endo Department performed approximately 212 root canals over the 2 days. This is an astounding figure relative to dental Mission’s of Mercy in other states. Dental supply companies as well as individual endodontists brought their own microscopes to the event for all who were performing endo to use. 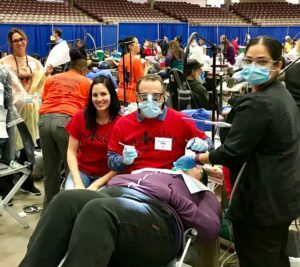 It was an extraordinary site to see the finest endodontists in Central Arizona sit down side by side to treat those members of the community who were in need. As a founding board member and president-elect of CADSF I have a tremendous amount of appreciation for my fellow endodontists and the work they have done at CADS AZMOM. I can’t thank them enough, because without them those patients could possibly still been in pain with teeth that needed a root canal. We made an immediate difference in the lives of those less fortunate, using the skills we were given and a little spare time during the holiday season of giving. I want to personally thank my fellow endodontists and all who volunteer at CADS AZMOM. Jacqueline S. Allen, D.D.S., M.S. For the second year in a row, I was honored to serve as the Event Director for the Central Arizona Dental Society Foundation, Mission of Mercy. 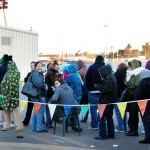 This event was held at the Arizona State Fairgrounds last December, two weeks before Christmas. 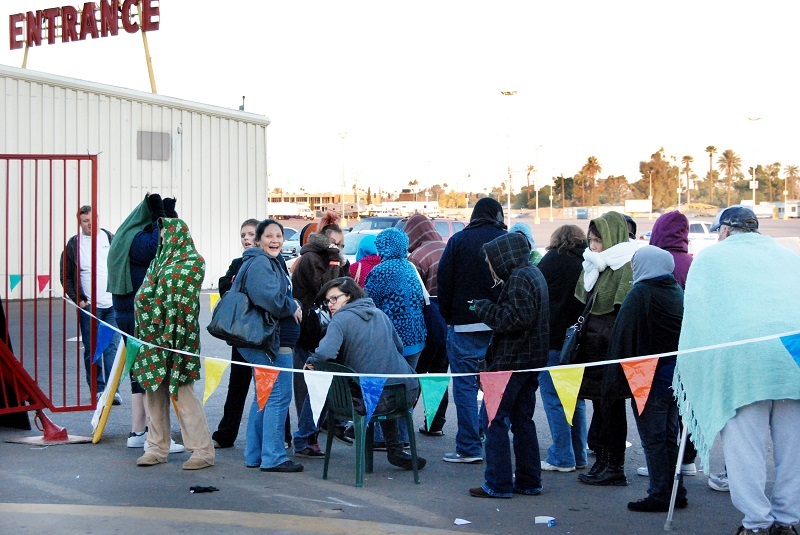 In only its second year CADS AZMOM was able to provide dental treatment to those members of our community who need it the most, Central Arizona’s working poor. The statistics were impressive: 1,543 volunteers came together to provide dental care to 2,020 patients. 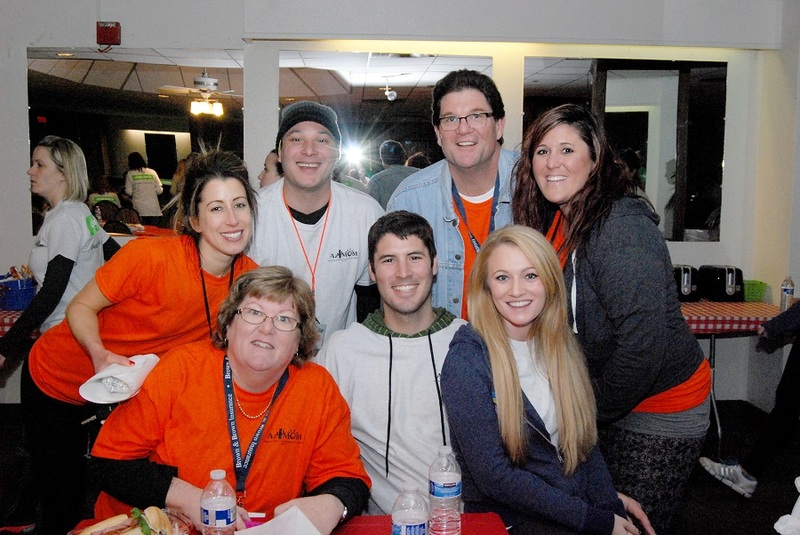 Our volunteers performed 13,058 dental procedures which equaled $1.4 Million in free care. 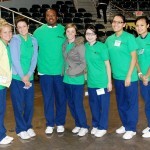 In all, 266 of the finest dentists in Arizona participated in the clinic. 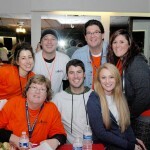 I am very proud to be associated with these colleagues who turned out that weekend to give back to others less fortunate. 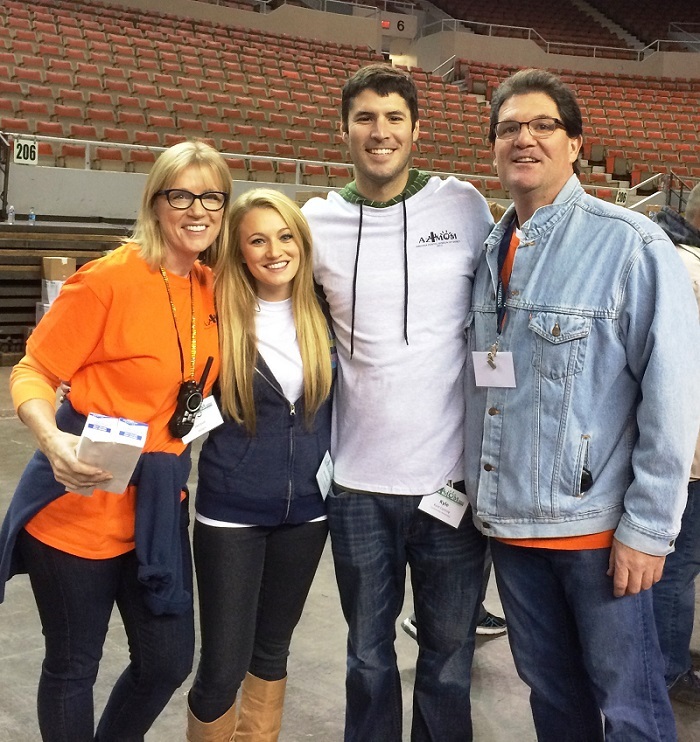 I am also very proud of the staff at Phoenix Endodontic Group who all turned out to volunteer at AZMOM: Kevin Conroy served as Event Coordinator, Dr. Ryan Engelberg treated patients in Endo, Suzie served as a co-lead for Endo, Jessica work taking final x-rays in Endo, Dallas assisted in Endo, Kim worked in volunteer registration and Savannah was her Mom’s right hand, doing anything that needed to be done in all parts of the clinic. I have mentioned my colleagues, my staff and I also have to mention my family, they came from near and far to support us with AZMOM. My niece Sarah came from Charlotte, NC to serve as lead for Patient Exit Interview, My sister-in-law Susan and her daughter (my niece) Katie came from Christiansburg, VA. Susan was the lead for Patient Education and Katie assisted primarily in Patient Exit Interview. 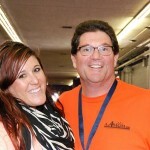 My daughter Kirsten came up from Tucson to serve as Family Waiting & Entertainment lead for the second year in a row. Kirsten brought her boyfriend Wes, who came through and became the de facto lead for Patient Safety & Security. Last but not least, my son Kyle and his girlfriend Jen came over from San Diego to work in the Lab and as Patient Escorts. The 2013 CADS AZMOM event makes me realize how truly blessed I am to be surrounded by such an amazing individuals Thanks to all of you who participated and hopefully we will see you again this December! This is a topic that you are going to hear a lot about from us in the upcoming months. 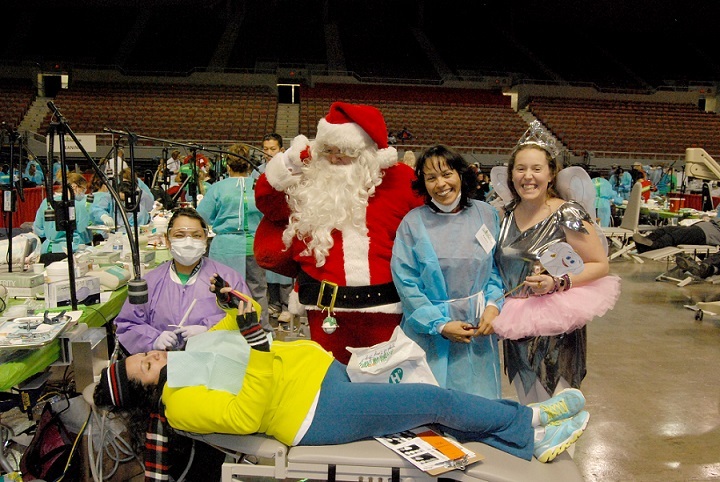 The Arizona Dental Mission of Mercy will be held on December 7th & 8th at the Arizona State Fairgrounds. This event is a huge undertaking that will provide basic dental care for the underseved members of our community. I am going to introduce the concept to you in this post and then over the coming months provide more details on the inaugural event being held here in Arizona.